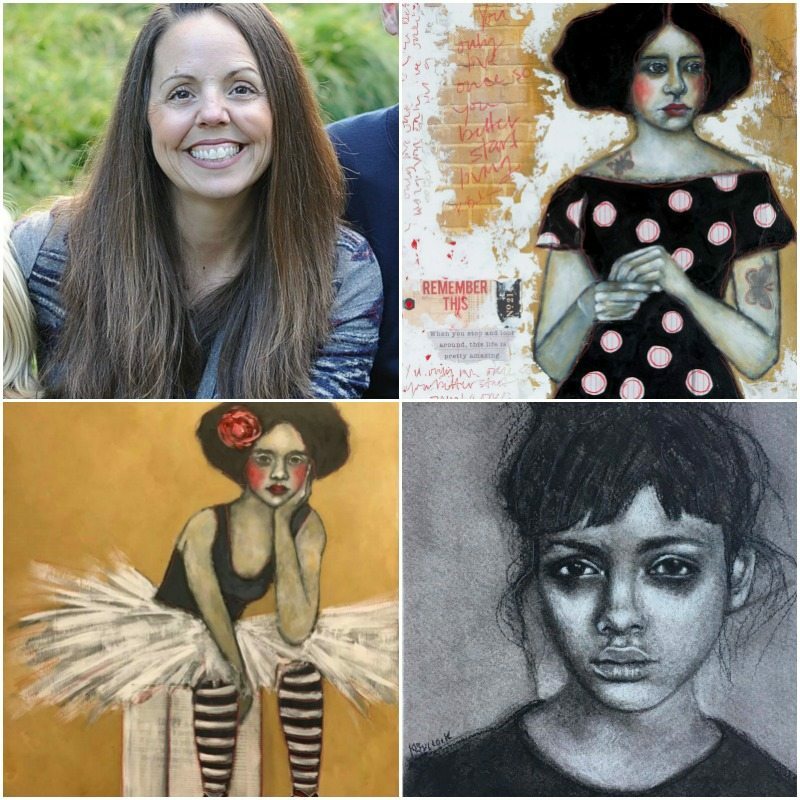 Art by 21 SECRETS teachers: Renata Loree, Lauren Rudolph, & Nicole Edgecombe. The most ever changing, wildly delicate, and beautifully complicated relationship we’ll ever have in our lives is with our own body — and that’s exactly why artists throughout the ages have never stopped creating art that expresses, explores, and honors this precious gift. In 21 SECRETS emBODY a talented team of teachers are willing, eager, and even a little nervous to share with you how their art and body powerfully connect. 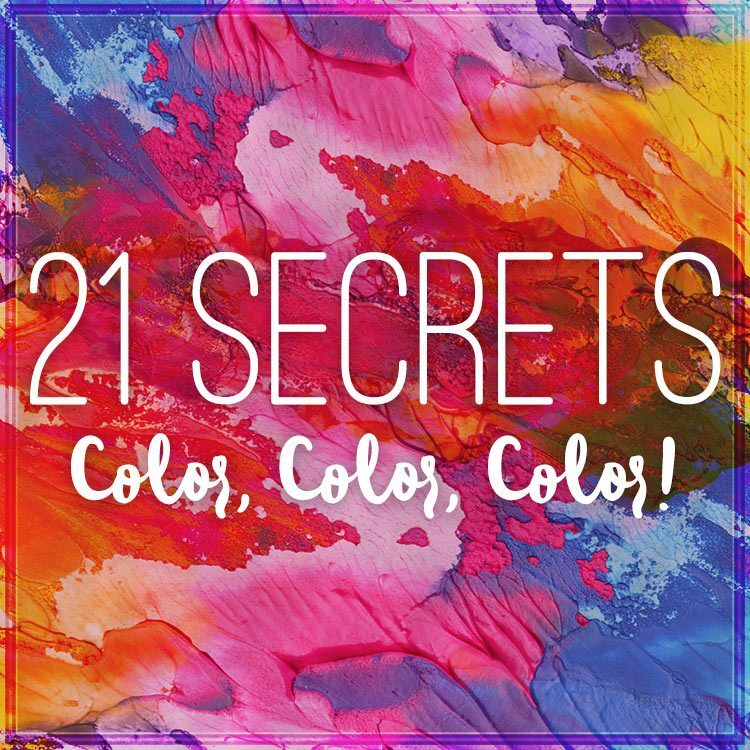 As usual, 21 SECRETS emBODY is a 150+ page downloadable eBook with 25+ hours of videos, full colored photos, templates, and clear instruction that will guide you through various mixed media lessons and art journaling adventures. Though what makes this 11th edition of 21 SECRETS probably the most powerful edition yet, is that the teachers are opening their hearts in a brave and vulnerable way. 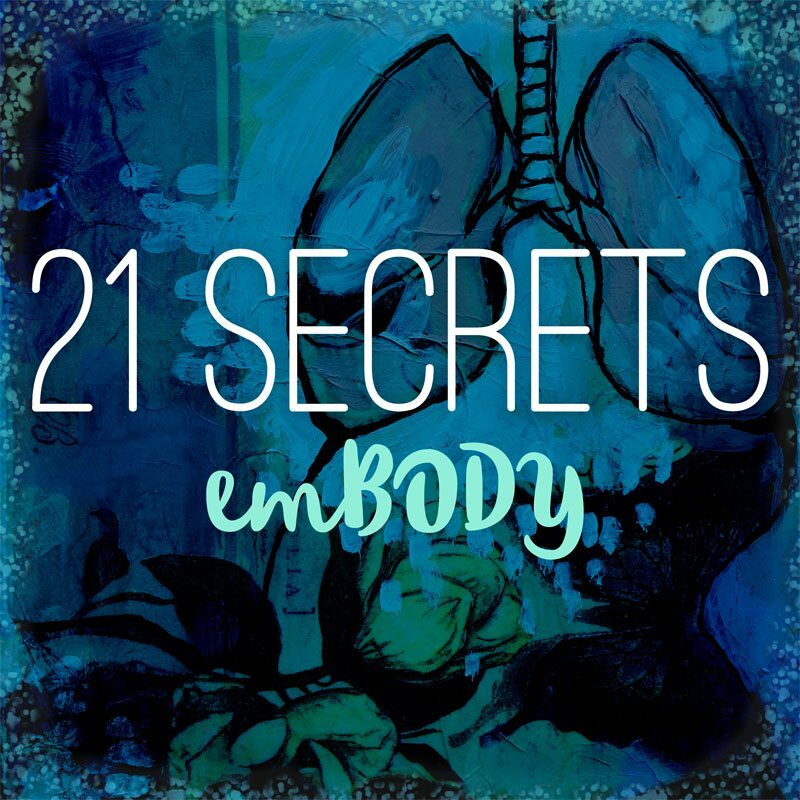 In 21 SECRETS emBODY we use mix media art and art journaling to get really honest about what’s it’s like to emBODY our own bodies. 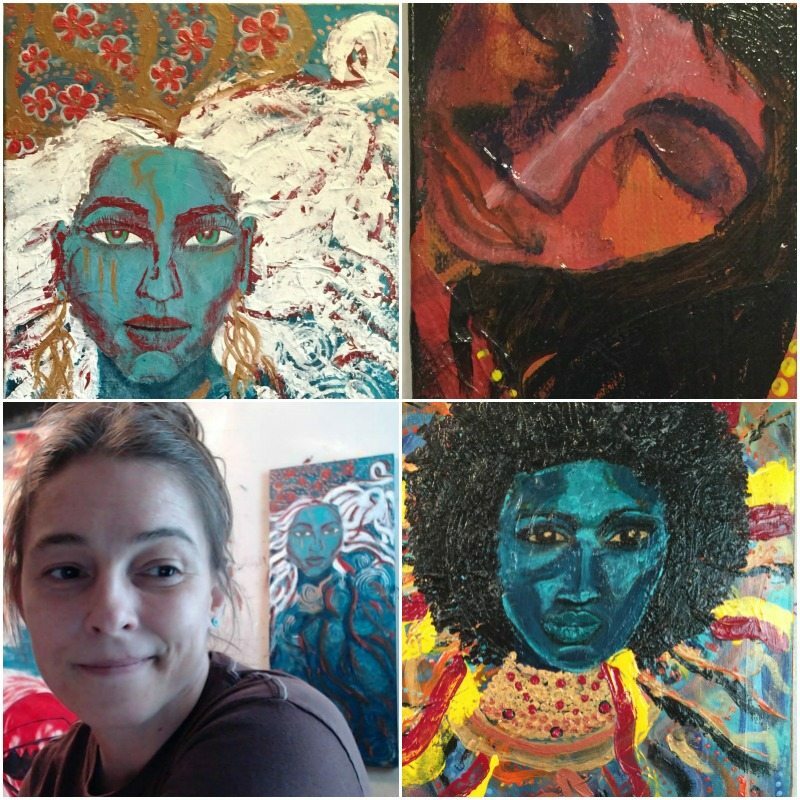 The teachers explore many important topics that have impacted their life and art making, such as self esteem, sexuality, weight, body image, chronic illness, and aging to name just a few. All while sharing a potent peek into their approach and techniques behind their creative process and perspective. Plus because this is an edition totally dedicated to the body, of course you’ll also find lessons in portraiture and figure painting too! 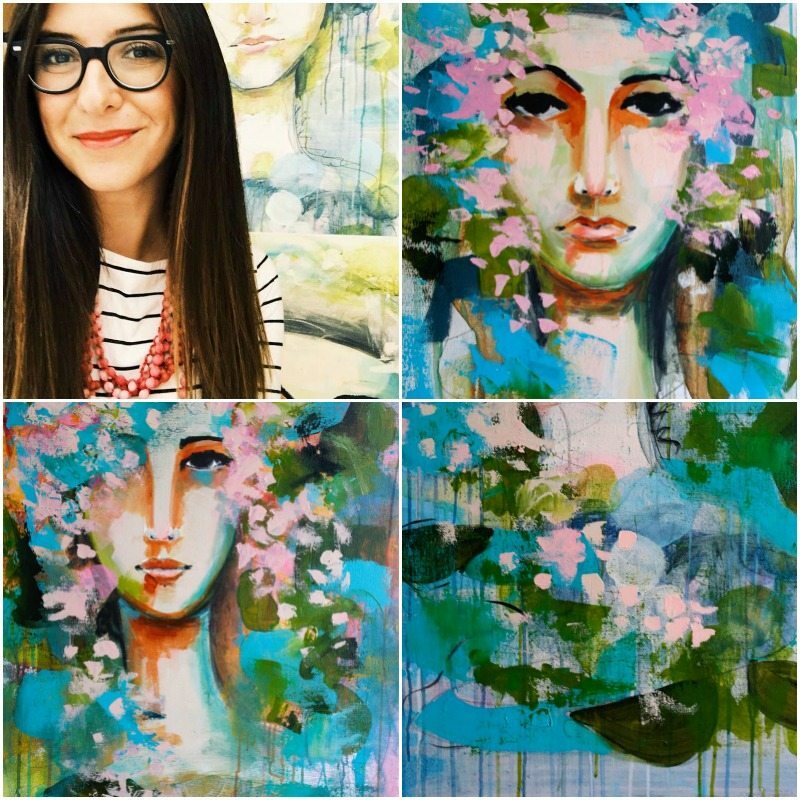 Art by 21 SECRETS teachers: Amanda Grace, Kara Bullock, Tiare Smith, & Shauna Meiri. relationship to our bodies through art journaling and mixed media. 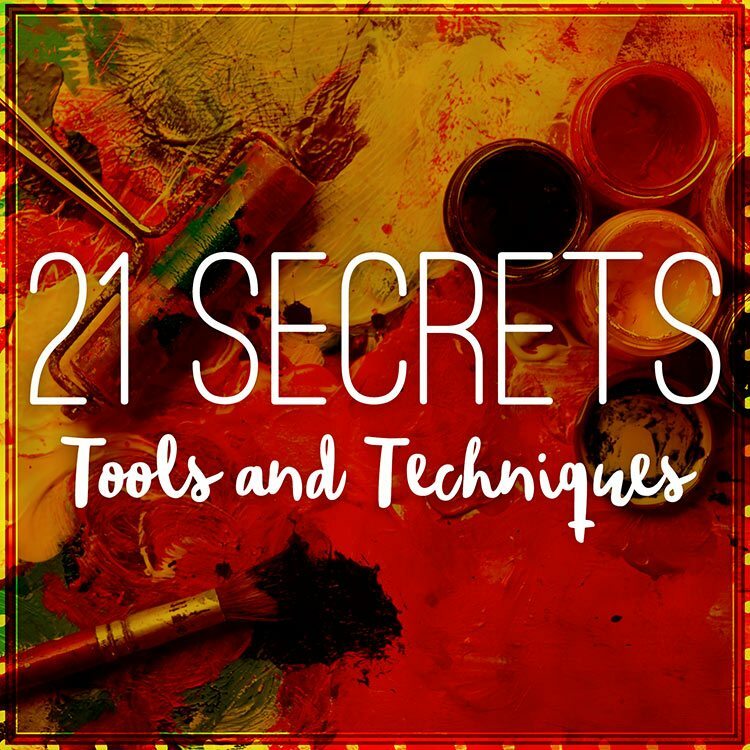 Here are the 21 workshops you will receive in 21 SECRETS emBODY. Several years ago I emerged from the failure of my first marriage, starved of affection and emotional connection. Having undergone a deconstruction of a self who simply did not feel worthy of love and desire, I began reimagining myself. 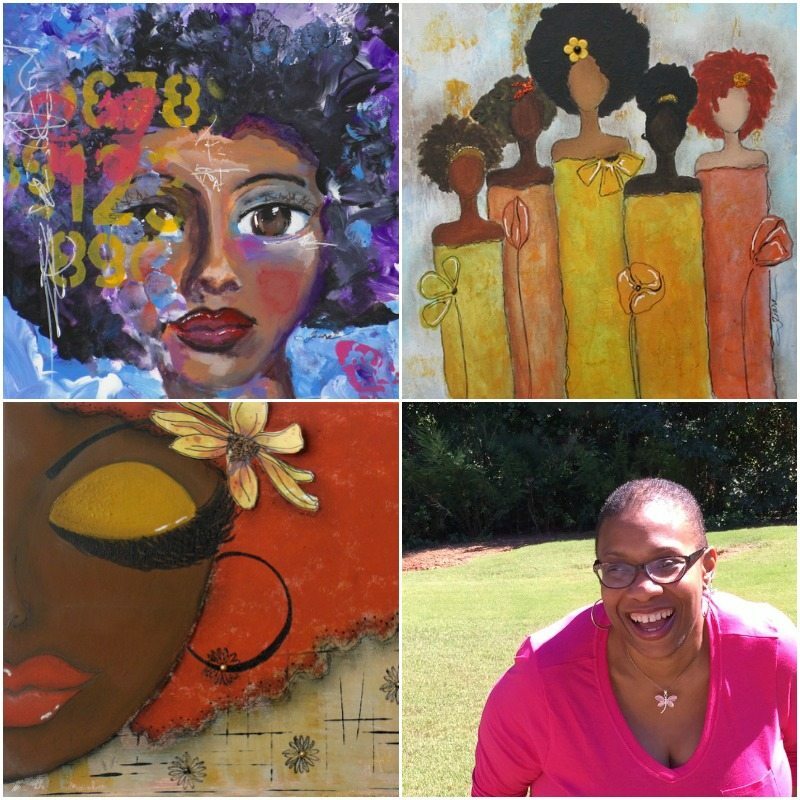 It was a transformative process of photographing myself in provocative self portraits which led to integrating a new fierceness into my evolving identity. I named her Pandora. ‘Pandora’ was my awakening. A process of re-claiming and embracing the kind of woman who was not afraid to embody her desires. This is a challenging workshop for me to deliver due to the intimate nature of this process, but I really wanted to challenge myself and you to explore what is possible as a woman when WE decide to believe we are worthy of our needs and desires. Why? Because I know the pain and alienation of not believing that. In this workshop, we will explore a variety of ways of revealing and expressing our more intimate self through personal reflection, imagery, and words. You choose how deep and intimate you are willing to go. 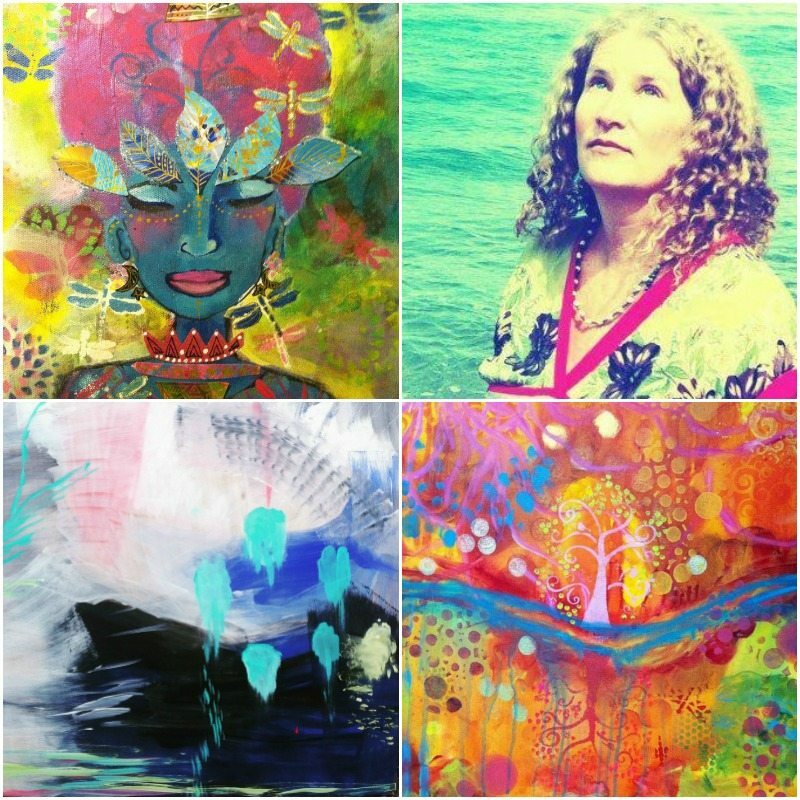 A painting can create an intention for a miracle or milagro. 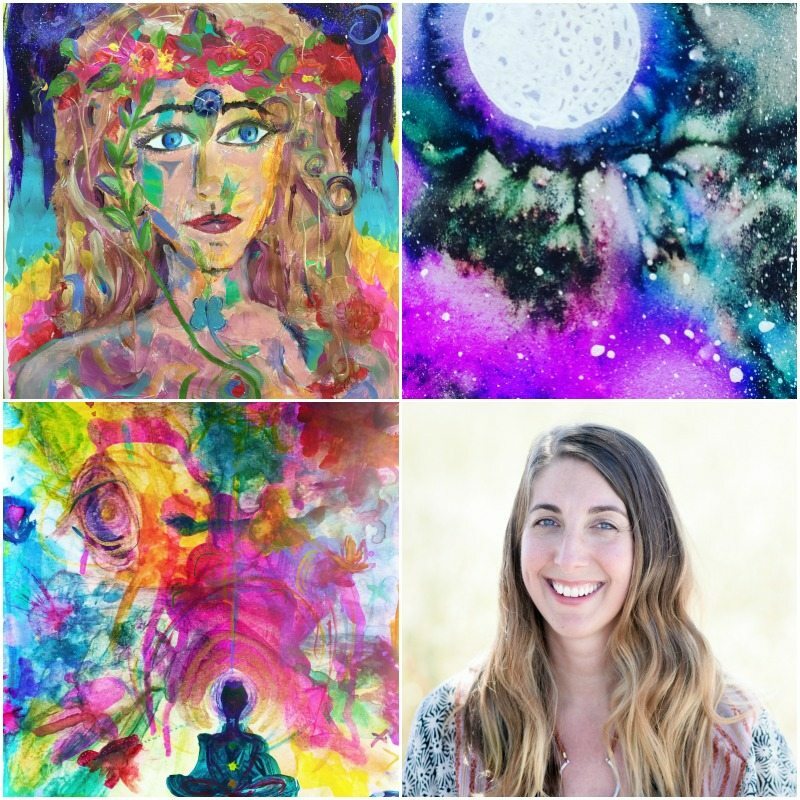 This workshop will explore the process of intuitive painting to create a powerful visual offering for your own healing. After setting the stage for an embodied practice, you will work with pastels and acrylic paint to build colorful layers and forms. Then it’s time to create a stencil for a part of the body/self that you wish to bring healing to: heart, eyes (vision), hands, pelvis, the mind, feet, whatever is calling your attention. Last, I will show you ways to alternate layers of dark and light paint to create a “glow” around the patterns you create with your stencil. When finished you will have a luminous final painting that will honor your body and your process. Recently a friend texted me an old photo of ourselves as teens. I was wearing a khaki skirt, tennis shoes, my hair pulled back in a messy pony, and the brightest smile ever. Seeing that image I instantly recalled how “fat and ugly” I thought I was back then. Over time my feelings towards my body have softened quite a bit, but tears still started to swell knowing that the slim young woman in the photo believed her thighs were too big, her belly too round, and her breasts not firm enough. 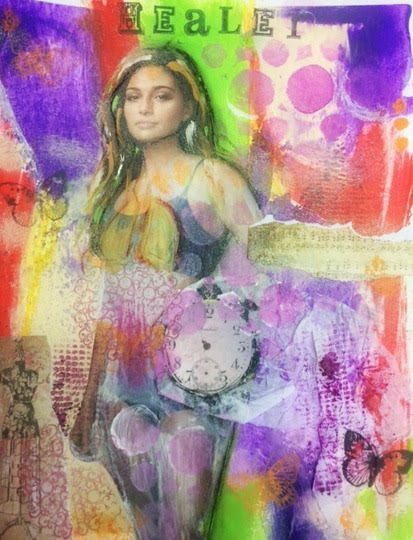 In imPERFECT we’ll use mixed media as a way of igniting a conversation with the parts of ourselves that we’ve been less than loving to over the years. Using paint, oil pastels, collage, and graphite we’ll transform the parts of our body that roll, take up space, flap, sag, dimple, wiggle, and are scarred into inspiring pieces of art. Those of us fortunate enough to experience the healing power of art know that it works. We don’t need science to tell us how or why. We know, because we have felt it. When we step into a creative practice our thinking shifts from what is, to what can be, and we are made whole! This is the healing power of art! In emBODY Wholeness we will begin with some gentle movement to get us out of our head and into our bodies. Then we’ll approach our journal page intuitively, with no specific end in mind. Our goal will be to simply experience the pure joy of picking up the brush and playing with color. Last, we’ll step away from what is and embrace what can be. The secrets of our soul radiate from our eyes and face and swirl around us like light. 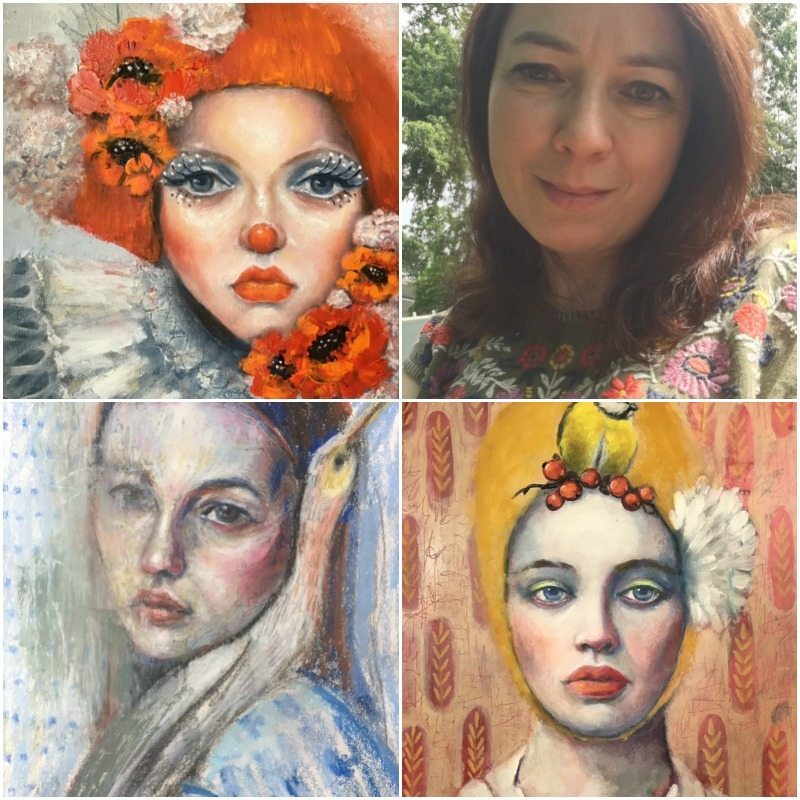 In this workshop you will learn to paint a face that depicts the passion and gratitude that dwells in your heart and mind. Around this face you will create a “crowning glory” made from collaged paper that will represent all the complex pieces that make up your golden soul and radiate from you. 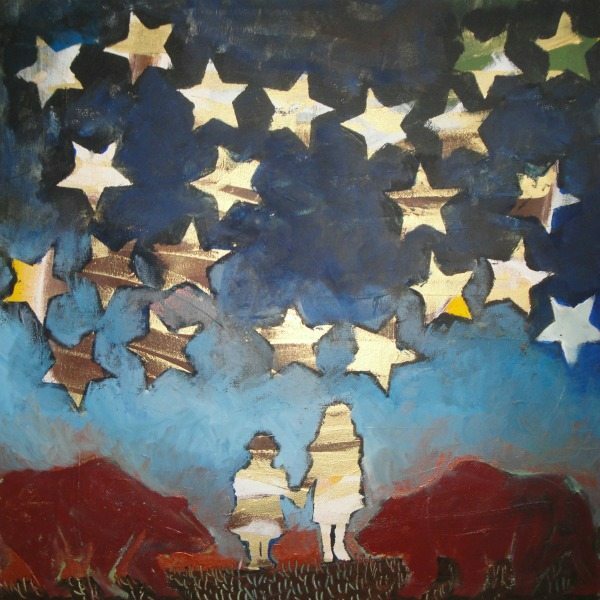 Together we will journal, collage, paint, draw and journey through the artistic process of self-discovery. 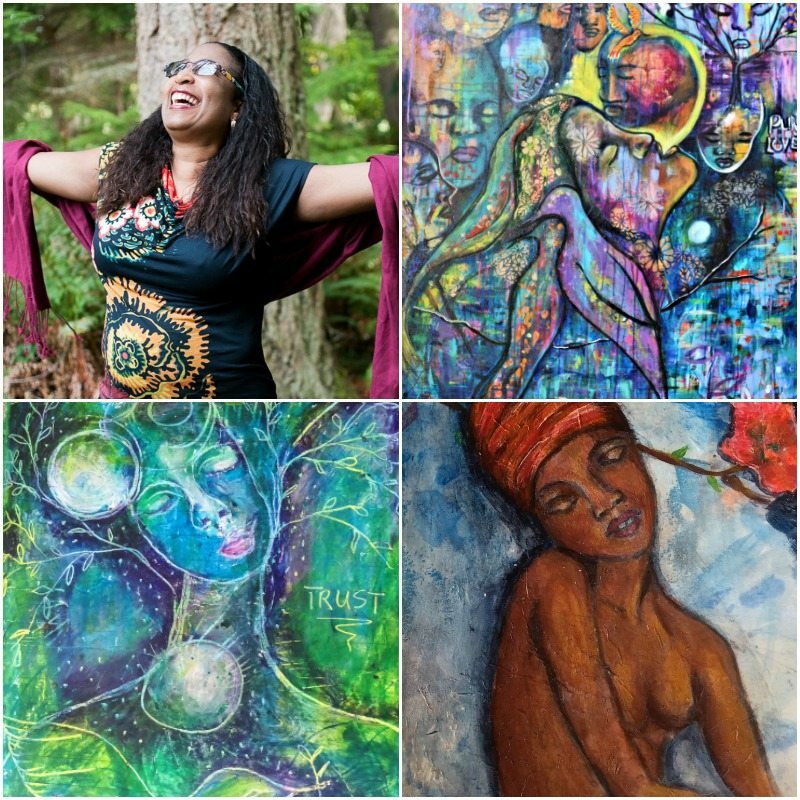 In “Days Go On” workshop we will process and heal past emotional wounds and trauma through this 4 -day creative practice based in your art journal spread. I will guide you through finding sacred and authentic communication with your inner self through creativity. The time aspect is crucial and it supports the idea of “slow art journaling” in order to see, feel, and create from the heart. Each day more layers will be created and some will be destroyed in order to see gradual transformation of the artwork as well as emotional release, acceptance, and healing of emotional wounds from one’s personal past. Come with me on a colorful journey along the rainbow bridge of your chakra system — a bridge that connects flesh to spirit, body to mind, and earth to the heavens. 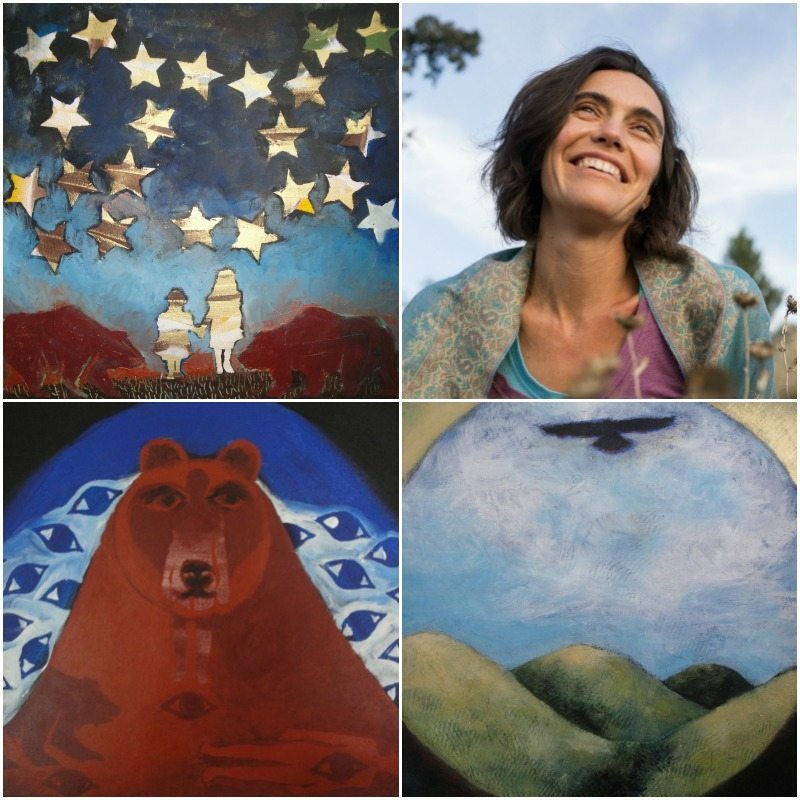 This course will guide you through an artfully embodied process of self-inquiry. Together, we will tour the seven major chakras, exploring them as a developmental timeline from womb through adulthood and reflecting on how each chakra’s qualities manifest in your life. 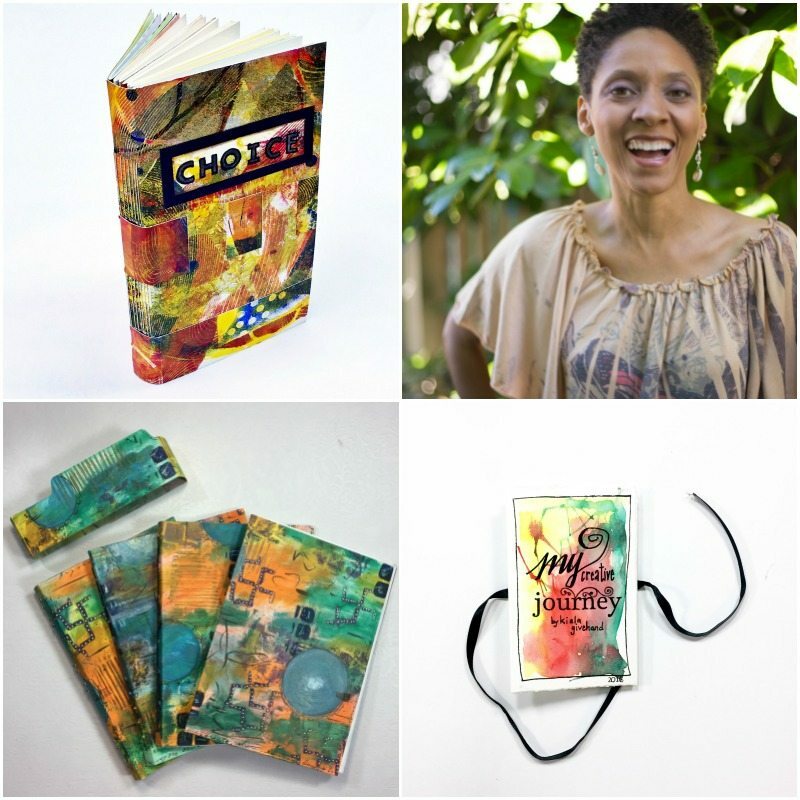 You’ll then express your discoveries in seven multimedia art journal spreads, celebrating the wisdom you’ve gleaned from each chakra. 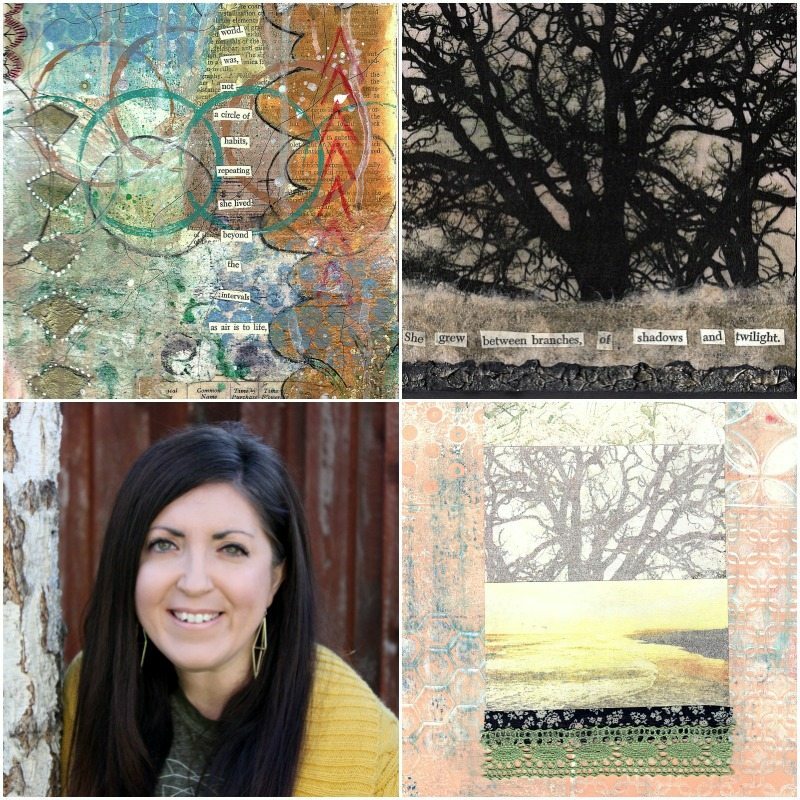 Nature Portals will demonstrate how to embody the sacredness of nature in simple ways (or “little portals”) through the creative process of art journaling. Whether in our backyards, the redwoods, or on the coastline, together we’ll allow our senses to be heightened by embracing silence and observation of our earth’s natural rhythms and wonders. Next we’ll take inventory of how we feel in our bodies when immersed in nature, then grab our art supplies, dive into our intuition, and art journal our way through an embodied nature-inspired spread. I love to draw/paint people. But I don’t like to draw myself, because that means looking closely at my face and when I do this, I see so many flaws….so many things that I don’t like. What we forget is that there is only one person in the whole world that looks like me, you, our daughter, our mother, etc. We are all unique, and that, in itself, is a beautiful thing! 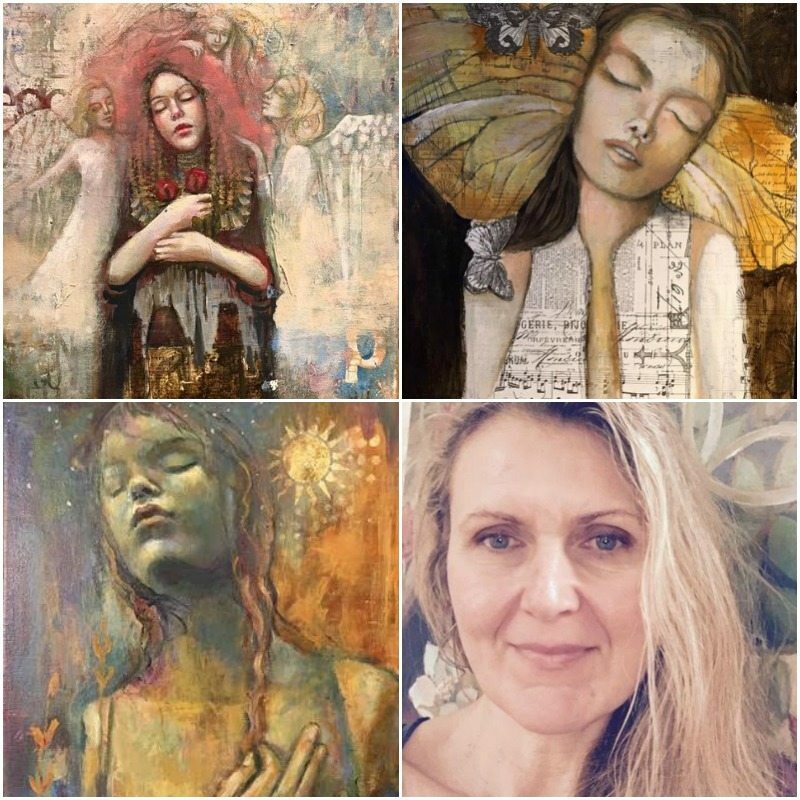 In I Am Beautiful we will discover the beauty that lies within ourselves by creating a mixed media, self-portrait, full of many layers and texture. We will begin by digging deep and discussing things that we may not love about ourselves (outer or inner), but then we’ll dig even deeper and discover that by loving ourselves, those flaws that we hate don’t really matter and that even those flaws are beautiful. In the end, love always wins. Especially when we love ourselves! 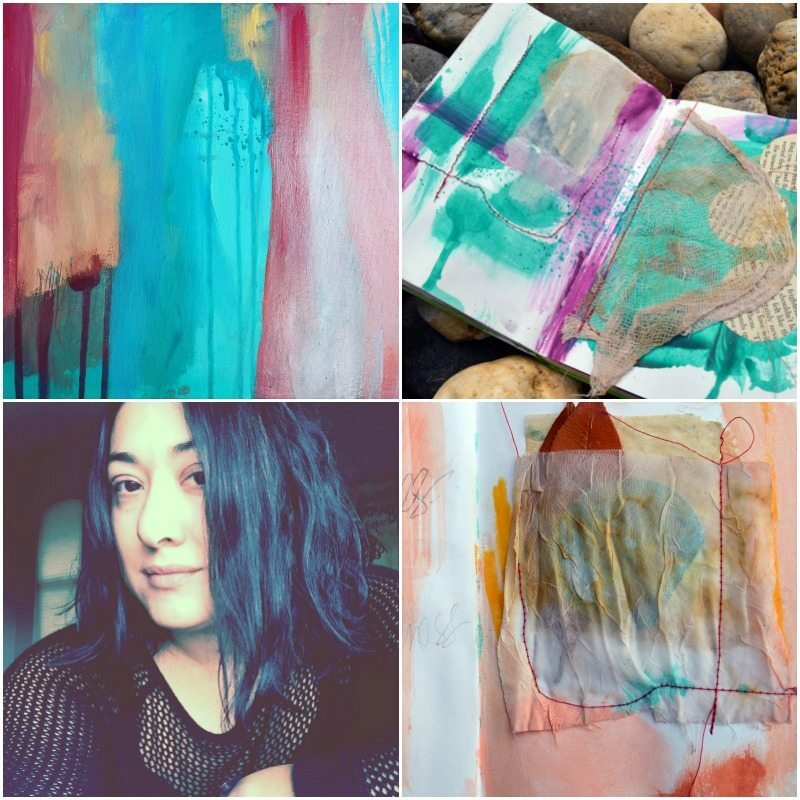 Imagine your art journal — the one you work in most often. Now, turn your attention to your body. That’s how we will start. We will build a​n interactive​ body ​”​map​”​ in our journals. We will create using several journaling prompts to help us symbolize the things we are wanting to embody in our life. From affirmations to intentional living, I’ll guide you through the process of using YOUR BODY as a way to begin envisioning what you most want in your life so that you can start to manifest it more fully. We spend our whole lives in our bodies. They are not separate from us. They allow us to move, dance, touch, feel and to create. Early on in life many of us received messages that our bodies aren’t enough, that they are broken, unloveable, too big, too small, too slow, not this or not that. We were told it was necessary to hide, cover up, to not be seen or to actually be seen. But our bodies possess so much power and with proper nurturing, care, and appreciation, our bodies naturally blossom and thrive. These thoughts are what inspired me to create this workshop. I want to bring our bodies out of hiding — out of the shadows and into the light. I want us to connect to and embrace this vessel that carries us through life. I want us to honor our bodies…we need to honor our bodies. 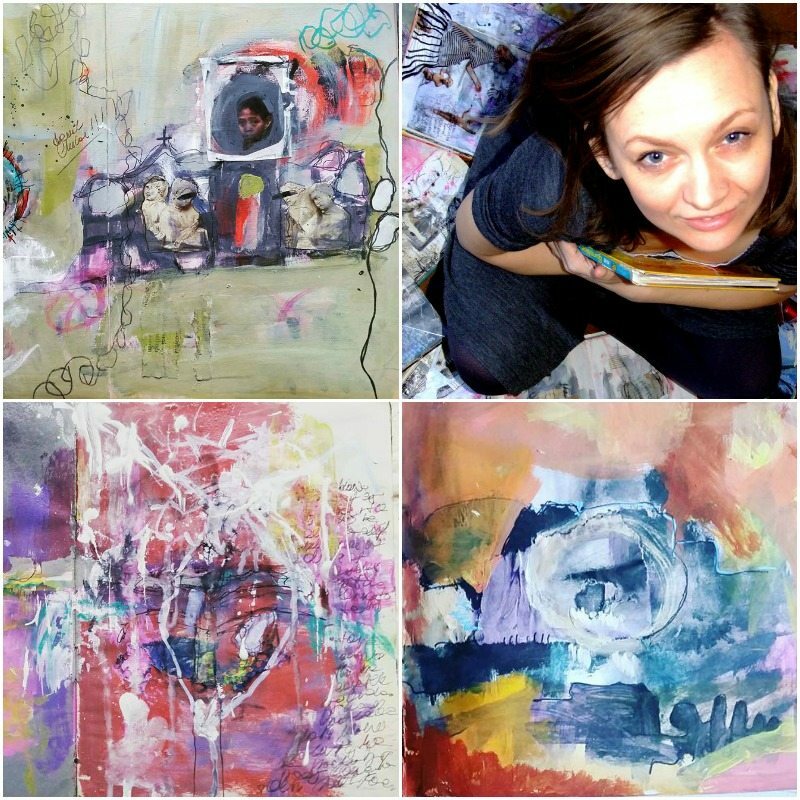 In Embrace we will create a collaged painting that connects us to the parts of ourselves that live beneath the surface. I will introduce you to a variety of tools that will help us stay open, loose and free. Together we’ll dig deep, let go of the outcome, and move through a powerful journey of self discovery. When finished we will have a layered expression filled with soul and depth, while becoming a bit more accepting, loving and embracing of ourselves and our bodies in the process. Sometimes we forget that our bodies are a blessed moving, breathing miracle. We carry the essence and powerful attributes of those in our lineage. Somewhere in your ancestral line there is a relative with the same shaped lips as you, or maybe you have your father’s hair, or your mother’s smile. Because of modern life as a human being in this very complex reality, our perspective of our bodies has often become fragmented, And, sometimes these views have been carried through generations before us. In Body Blessings you’ll soulfully discover the true gift of your body’s beauty and resilience. Together we;ll explore the value of your body-memory and precious lineage carried in your DNA. With an empowered approach, we will reclaim, adorn, and honor these body blessings through expressive art- journal exercises. Mind, body and spirit cannot be separated. Though often when we are unwell, the part of us that screams the loudest is the mind – shouting messages of fear, hopelessness and even despair. That’s why it comes as no surprise that dwelling on these messages makes us feel even worse both physically and emotionally. 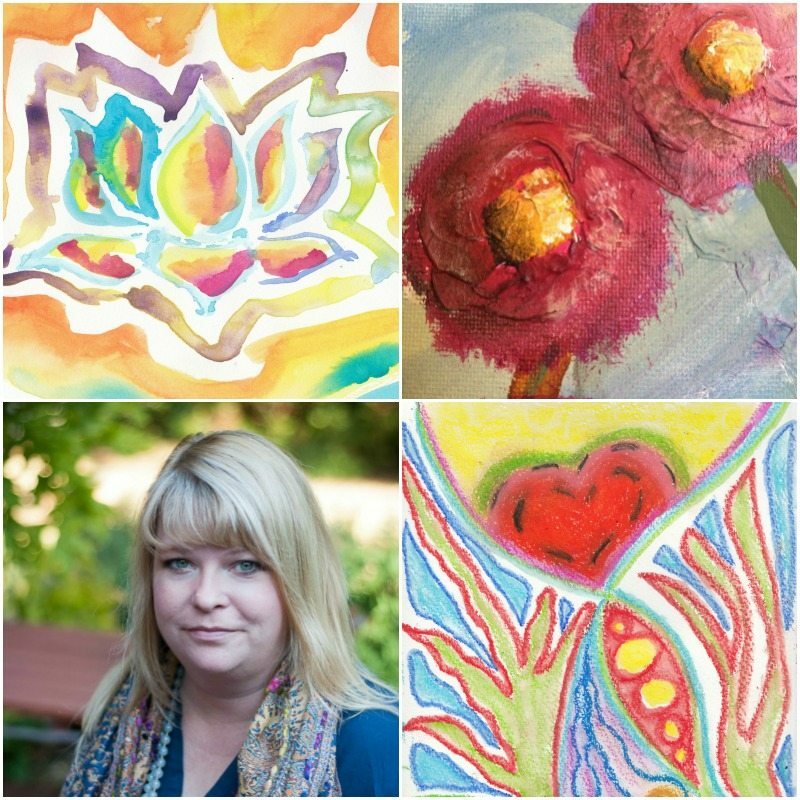 In Body Talk, I teach you how to use simple art materials to conduct a three way conversation between body, mind and spirit. 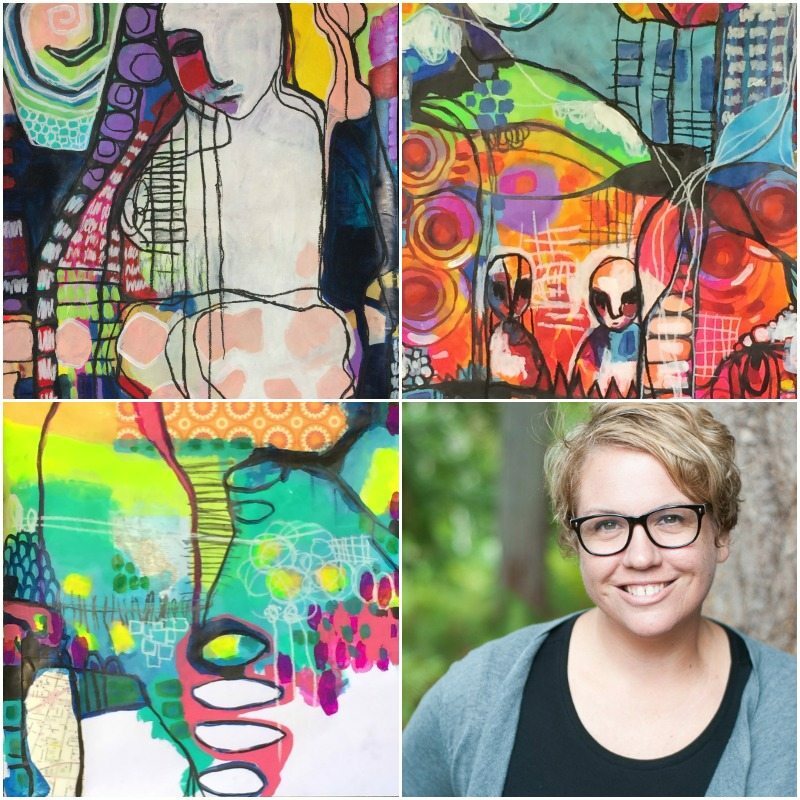 By placing the focus both on process and product, you will finish this workshop with a better understanding on how to cope and heal what ails you and with an art piece that speaks to you as well. The woman’s body was created to carry and give new life and to love and protect their children. But not all women choose to or are able to become mothers. But none-the-less, one’s motherly instinct of kindness, forgiveness and caring is always present. 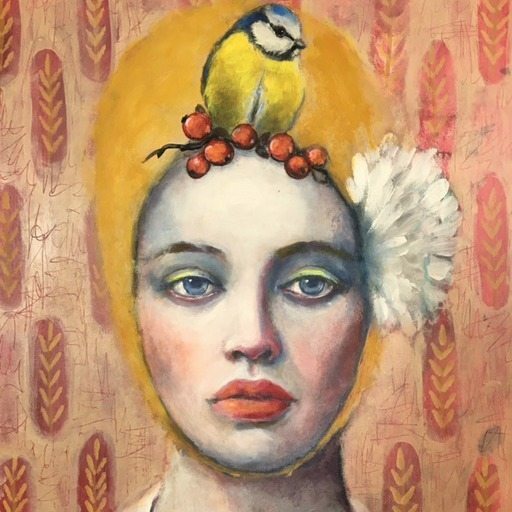 Inspired by Russian nesting dolls which represent generations of women from the great grandmother to the baby, we’ll create a painting that incorporates simple shapes, multi-layering techniques, and collage to achieve unique depth, interesting contrast, and texture in our paintings. But most of all in Mother we will follow our heart and intuition to create a soulful, visual story. Come join me. I find faces very intriguing. There is so much to learn and discover when painting a face. Though I notice that I tend to forget about the body. Not just in painting — but also in life. And this is why I practice yoga. Yoga awakens my senses, brings me back into my body, and helps me understand not only my “head” and how I think, but also how I perceive myself as a creature of this world and how I fit in. In Your Archetypal Shape we will explore what personal archetypes you are expressing in your life, how these archetypes are expressed through your body, and discover the creature or object that is most fitting to your sense of self. Come join me in Your Archetypal Shape — you might surprise yourself! Shapeshifting for Inner(Stellar) Peace and Phenomenal(Cosmic)Power! A quick and dirty guide to radical embodiment practices for transforming your life. This is a workshop about awareness, embodiment, and growth. It’s about acceptance, compassion, and love. It’s about becoming our best selves through listening and trust – because we know it in our bodies. We feel it to our cores. In this workshop I will guide us in opening our senses to bring greater awareness to the abilities we have to ‘fill’ and flow into any form we set for ourselves. Together we’ll open to energies much larger than ourselves and explore new ways of being through the ancient idea of Shapeshifting. We’ll discover how the words “Shape” and “Shifting” work within our bodies and psyches and grow beyond any personal road blocks, seen or unseen. 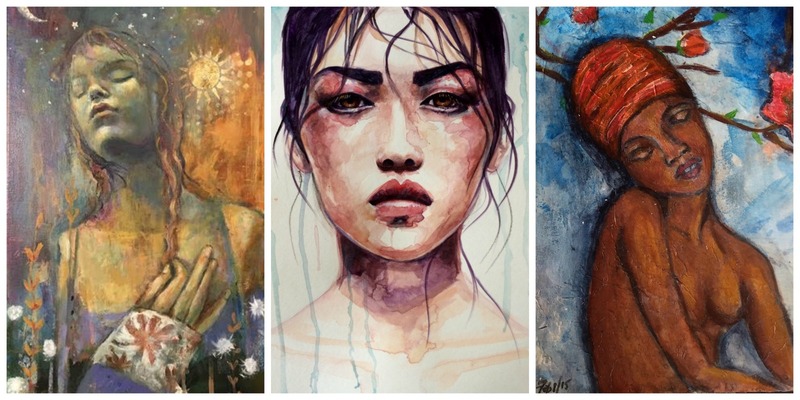 If you want to bring embodiment to some of those lovely faces in your art journal, but the idea of figure drawing seems too difficult or intimidating, than this mixed media workshop will help you get started. Through using altered images and collage, creating loose contour drawings, and by exploring line, shape and color, we will bring our expressive figures into the picture. 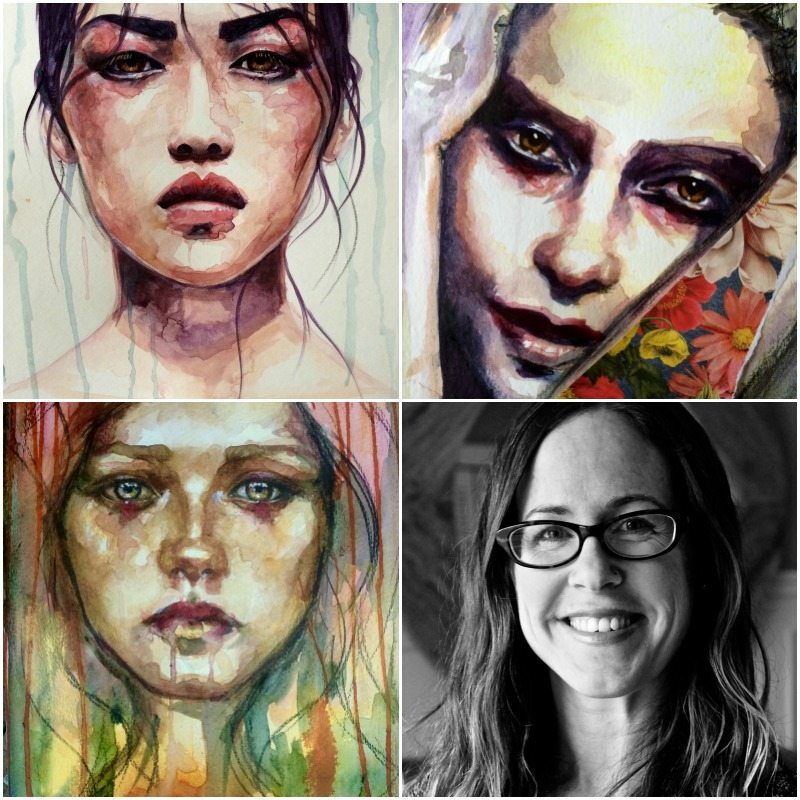 The emphasis in this workshop will be on expression, connection and kindness…no anatomy studies necessary! In Golden Veins we’ll journey into the center of our beings- entering our own hearts chamber in a guided visualization to rest and take refuge there. While there we’ll have a conversation with our hearts to gain a sense of our own callings and desires – to embody what our hearts have to say to us – to rest in our own hearts and discover if a re- routing of our precious energy needs to occur. Our journey together will be followed by a visual journal prompt to explore what the experience was like, document what information was received, and then express it vividly through art and writing in our journals. Every Inch of Beautiful. Body Mine. Body Beautiful. Accepting yourself is about self-respect and honoring yourself right now. It begins when we start using positive actions, positive thoughts and positive words when we speak to ourselves. In Every Inch of Beautiful. Body Mine. Body Beautiful. we will create a piece to inspire and encourage love and self acceptance. Self love, affirmation and expression is key to a healthy mind. 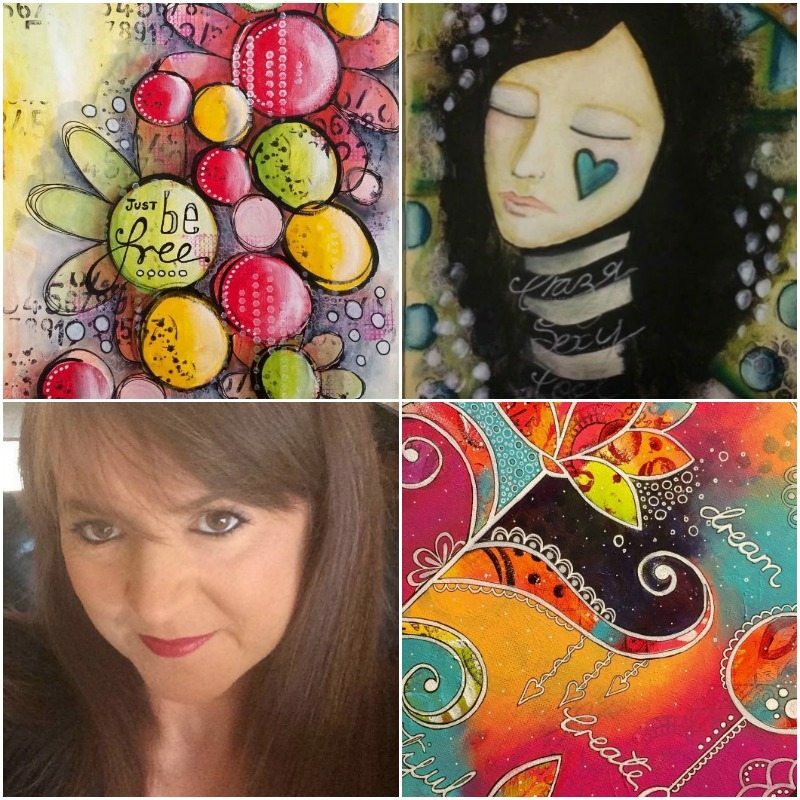 In You ARE Enough you will explore this subject through a collage of printed affirmations, hand written text, symbols, and of course acrylic paint to add colour. 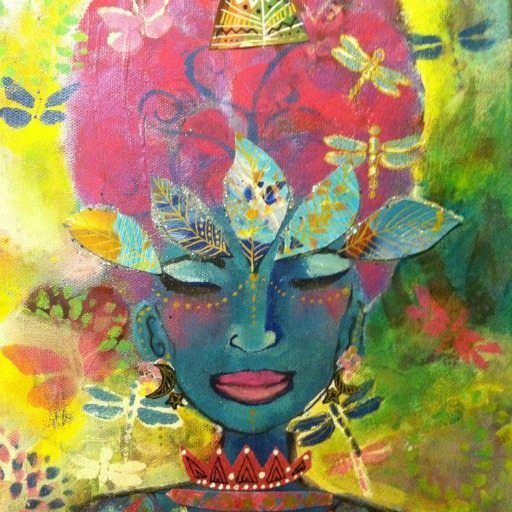 The focal point of this process will be a self portrait with closed eyes, which key affirmation words will be added to the face to reinforce positive thinking and create a piece that exclaims we ARE enough! Contemporary neuroscience proves again and again that the body possess the wisdom to heal itself. But in this workshop we are going to focus on honoring our own unique “science” and reconnect to the origin of our own biology: our personal Lighthouse that has been with us since birth. 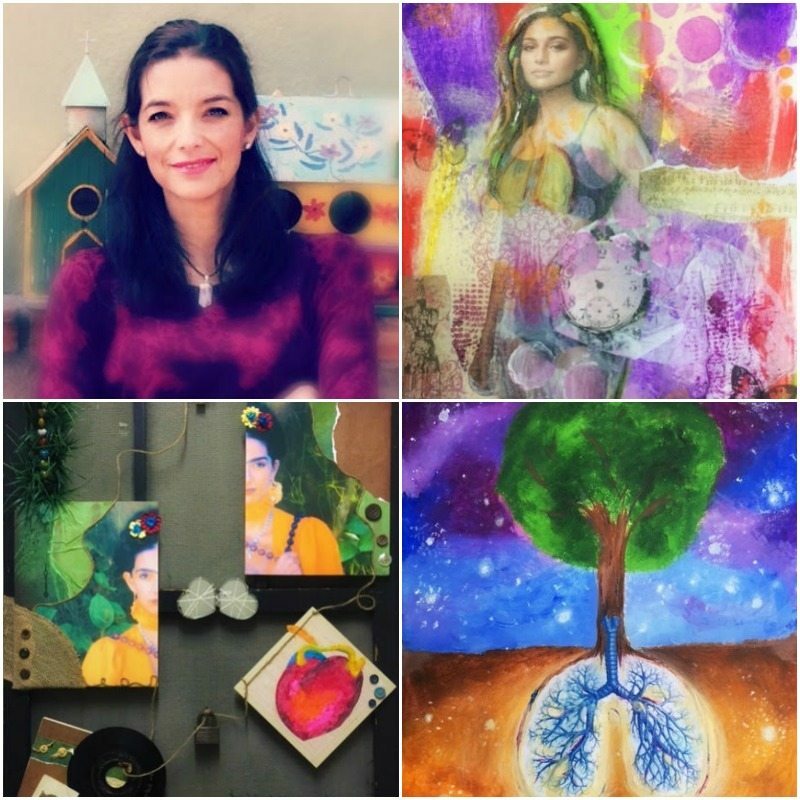 In this workshop I’ll share with you my own healing process from a Lung Cancer diagnosis to help guide you in creating art that honors your unique healing process. You will be SO amazed of what you can release and discover by claiming your own healing story, and learning to identify, reawaken, and trust your own inner lighthouse which will always guide you to balanced health. To learn more about the 21 SECRETS teachers CLICK HERE. Art by 21 SECRETS teacher Olga Furman. Art by 21 SECRETS teacher Suki Ka’Pinao. Unlimited access to all workshops at once! You pick and choose which ones you do and when. There is no time limit or deadlines to meet — these workshops are yours to keep! 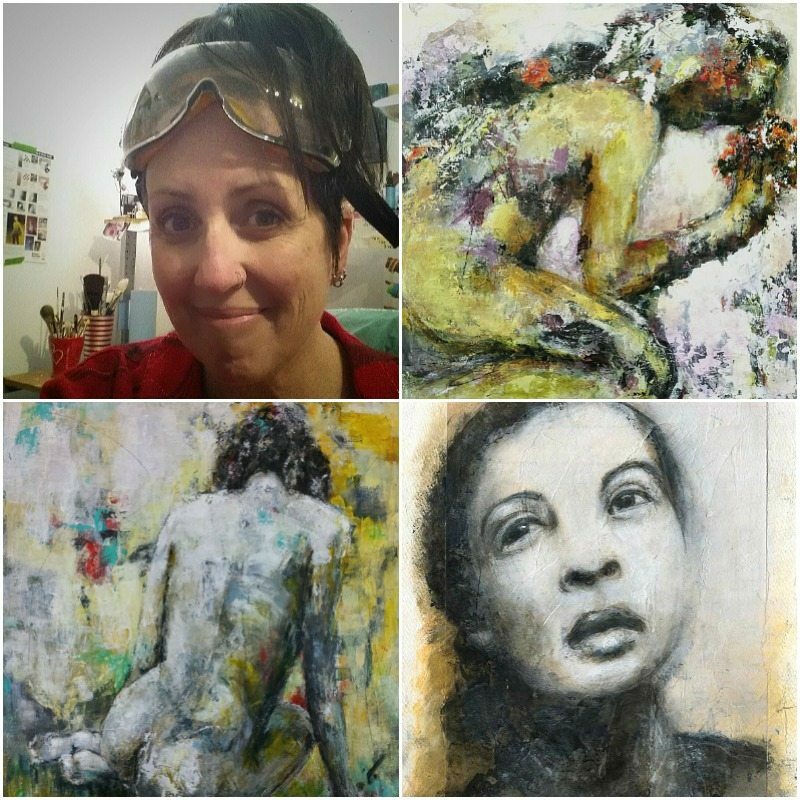 The opportunity to learn a variety of mixed media techniques and approaches from the comfort of your home/studio. Belong to a supportive online artist community that has been growing strong since 2010! At 21 SECRETS we celebrate everyone’s unique expression and support artists in becoming confident and courageous while creating from the heart! Art by 21 SECRETS artist: Valentina Castro Silva. Art by 21 SECRETS teacher April Miller McMurtry. How can I (or someone I know) become a 21 SECRETS teacher? We would love to hear from you! 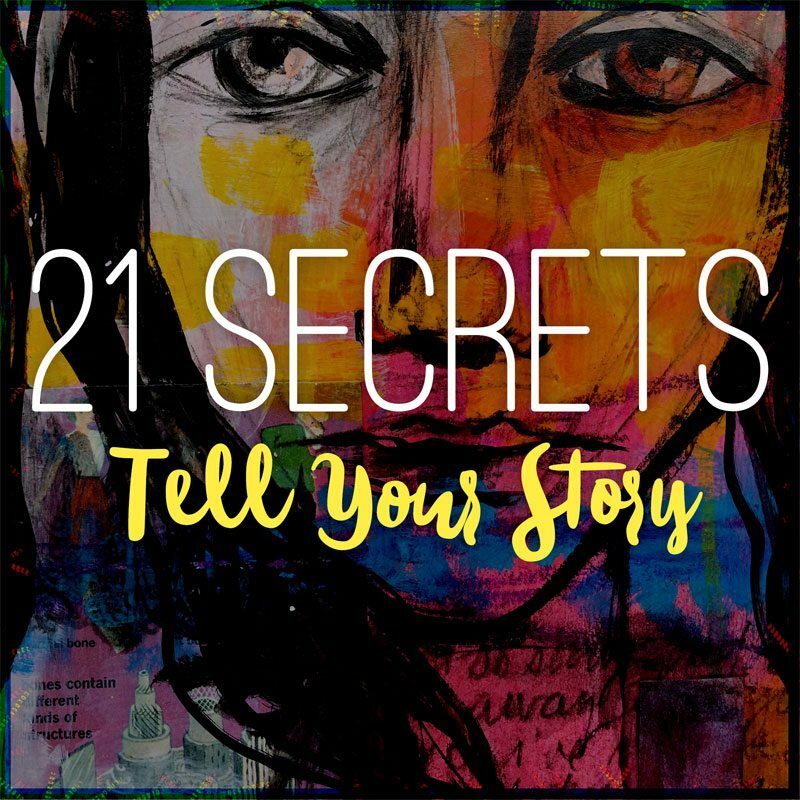 Please CLICK HERE and nominate yourself or that special artist you think would be perfect for 21 SECRETS! 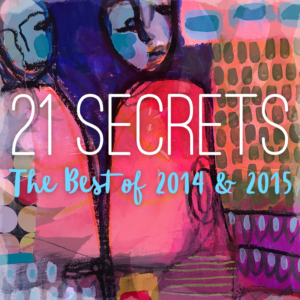 Be sure to check out these other fabulous 21 SECRETS editions as well….